Space Needs of new Ballfields ! 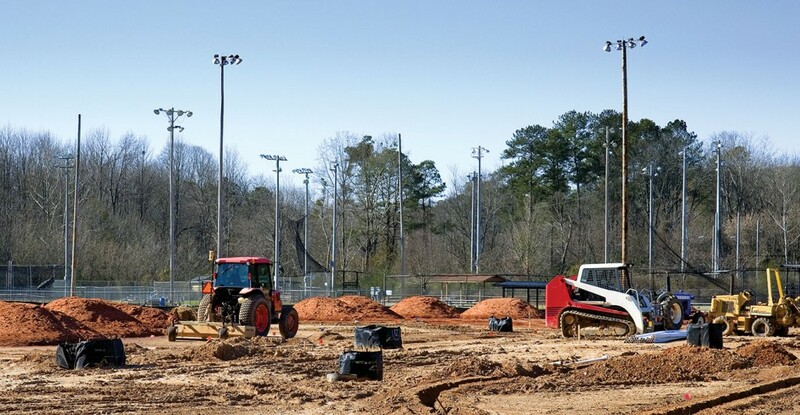 When looking for space to build a ballfield or a complex of fields, there are several factors that should be considered during the planning stage. In many cases, it is not just the ball diamond that is being built. Typically there are additional features to consider such as, dugouts, bathrooms, concession areas, storage facilities, bleachers, drainage swales, parking and even buffer zones that may need to be built as well. For the ballfield portion, the table below gives you rough estimates for the area needed for various sized ballfields allowing adequate space for field amenities such as bleachers, dugouts, fences, lights and scoreboards. Remember, your parking lot is a piece of the puzzle that can use up a lot of space in a hurry. You can use 20 spaces as the starting point for the minimum amount of parking at a ballfield. 20 spaces will need approximately 0.3 acre. For each additional parking space you’ll need to add another 0.015 acre per space. Multi-field complexes are often planned with little thought regarding protection of spectators. Sometimes fields are squeezed tight together with a bare minimum of common space between fields. Fans watching a game on one field can be subject to stray foul balls from other fields that are right behind them. This is a common issue with many multi-field complexes. There are three ways you can address this problem. The first way would be to install an expansive overhead netting system to protect the fans. While extremely effective, this could become very expensive depending on the size and scope of the netting system needed. A second idea would be to address this potential problem in the planning stages when simple realignment of fields can help to increase the amount of room between fields, reducing foul ball risk. Your third option involves a little bit of the first two, and it will likely be your best overall plan. Start by planning your common areas to be as open as possible between fields. Then, use a combination of barrier netting and deciduous trees. Planting trees along the common areas along with netting will greatly reduce the risk of spectator injury. Barrier netting will deflect the lower flying line drive foul balls while trees will become a living, growing ball deflection system for the higher foul pops entering common areas. The older the trees get between fields, the bigger and more dense the natural deflection system will be. Additionally, trees will also provide much appreciated shade for those hot summer days and they’ll serve as a wind breaker on gusty days. They’ll improve fan comfort while at the same time providing a more appealing park-like atmosphere. Probably the most critical part of an athletic field is it’s surface drainage. There are two main styles of surface grade that commonly are used for controlling surface water removal. The first and most popular is called the “turtle back” where the base of the pitcher’s mound is the highest point on the field and elevations fall away from that point in all directions much like the back of a turtle’s shell. On this type of field, the infield is typically graded to a 0.5 – 1% slope. The outfield and foul areas should be graded at a 1 – 1.5% slope. This is the quickest and most efficient method to shed water off a ballfield. The other, less popular option involves having the whole field tilt from one side of the field to the opposite side. This type of drainage is called “sheet flow” drainage, like a sheet of water sliding off the side of a hill. This surface drainage will work provided the home plate area is at the highest point of the slope. You want to avoid water draining toward the infield and home plate — it should always move away from the infield. Sheet flow will drain slower than the turtle back method because the water will have a longer distance to travel before exiting the field. With all of the above in mind, try to find land for your ballfield that will require the least amount of rough grading in order to satisfy one of the above drainage styles. Drainage swales and/or storm drains along the edges of a ball diamond in “out-of-play” areas should be used to carry the surface drained water away from the site. Feeling Baseball’s Payne: Class Action Suit alleges Failure to Protect Spectators . . . From Bats and Balls ! the U.S. District Court for the Northern District of California. The proposed class action asserts four causes of ac- tion: (1) negligence; (2) fraudulent con- cealment; (3) violations of California’s Unfair Competition Law (Cal. Bus. And Prof. Code Section 17200 et seq. ); and (4) violations of California’s Consumer Legal Remedies Act (CLRA), California Civil Code Section 1750 et seq. The plaintiff seeks injunctive relief requiring defendants, among other things, to adopt certain corrective measures. The measures include ret- ro tting all existing major league and minor league indoor and outdoor parks with protective netting that spans from foul pole to foul pole by the beginning of the 2016–2017 MLB season and to implement a program to study injuries and the rate of injuries among spectators, including the type and manner of injury and at what locations they occur. The plaintiff opines that the study is necessary to evaluate whether further measures should be taken and so precautionary measures can con- tinue to evolve as the sport continues to evolve. Payne (who concedes that neither she nor her family were ever struck by an errant baseball or bat although she has been attending baseball games since 1968) argued that MLB did not exercise due care despite having allegedly superior knowledge about the risks of injury presented to spectators and fraudulently concealed those risks. The Payne action acknowledges that there is a lack of hard statistics about in- juries — but nonetheless avers that baseball, along with soc- cer and auto racing, is among the most dangerous spectator sports. Furthermore, the Payne action is riddled with hyperbole: referring to foul balls that “scream” into the stands, “cart- wheeling” bats, “a modern-day slaughter pen” and disclaim- ers regarding the risk of injury on the back of tickets that are provided in “mouse print.” The plaintiff relies heavily on an argument that spectators are “distracted” by entertainment at ballparks that are designed to increase revenue and to “woo” the next generation of baseball fans. Speci cally, the plaintiff alleges that Commissioner Manfred has acknowledged the shorter attention span of young spectators and a desire to enhance the fan experience in the ballpark via technology. Payne cites the implementation of WiFi at stadiums (arguably a tool of fan engagement versus a distraction) and an effort by MLB to increase the pace of play and contends that these efforts somehow increase the ordinary risks presented to spectators. The Payne action is silent regarding the quali ed, or limited, duty of care that applies to the owners and operators of a baseball stadium. The “baseball rule” is a specialized duty of care that is applicable to baseball (and not the other sports referenced in the Payne action: soccer and auto racing). The baseball rule re ects the practical realities of the sport of baseball and the ubiquitous presence of balls and bats that nd their way into the stands (a risk acknowledged by plain- tiff in the Payne action). In this respect, baseball differs mate- rially from other sports and many spectators want to see the action up close or bring a glove to the game in order to catch a souvenir baseball. California is a state that follows the baseball rule. See Nemarnik v. Los Angeles Kings Hockey Club, 103 Cal. App. 4th 631, 641 (Cal. App. 2d Dist. 2002), quoting Neinstein v. Los Angeles Dodgers, 185 Cal. App. 3d 176, 180-81 (1986) (“As we see it, to permit plaintiff to recover under the circum- stances here would force baseball stadium owners to do one of two things: place all spectator areas behind a protective screen thereby reducing the quality of everyone’s view, and since players are often able to reach into the spectator area to catch foul balls, changing the very nature of the game itself; or continue the status quo and increase the price of tickets to cover the cost of compensating injured persons with the attendant result that persons of meager means might be ‘priced out’ of enjoying the great American pastime. To us, neither alternative is acceptable. In our opinion, it is not the role of the courts to effect a wholesale remodeling of a revered American institution through application of the tort law.”). See also Rudnick v. Golden W. Broadcasters, 156 Cal. App. 3d 793, 802 (Cal. App. 4th Dist. 1984) (“A baseball club complying with Quinn’s screening standard has ful lled its limited duty to spectators as a matter of law and is entitled to summary judgment. Whether baseball fans are viewed as participants in the game itself or merely passive spectators, one thing is certain: the chance to apprehend a misdirected baseball is as much a part of the game as the seventh inning stretch or peanuts and Cracker Jack.”) (em- phasis added). As was aptly summarized by Chief Judge Cardozo, the spectator at a sporting event, no less than the participant, “accepts the dangers that inhere in it so far as they are obvious and necessary, just as a fencer accepts the risk of a thrust by his antagonist or a spectator at a ball game the chance of contact with a ball . . . . The timorous may stay at home.” (Murphy v. Steeplechase Amusement Co., 250 N.Y. 479, 482-483, 166 N.E. 173, 174). Akins, 53 N.Y.2d at 329 (holding that a proprietor of a ballpark ful lled its duty of care and cannot be held liable in negligence when it provid- ed screening in the area of the eld behind home plate). The Court of Appeals reiterated the limited duty of care in a case involving spectator “distraction.” In Davidoff v. Met- ropolitan Baseball Club, Inc., 61 N.Y.2d 996, 475 N.Y.S2d 367, 368 (1984), a negligence action brought by a 14-year-old spectator who was injured by a sharply hit foul ball while she occupied a box seat located behind rst base at Shea Stadium, the plaintiff’s action was dismissed because the defendants satised their limited duty of care. 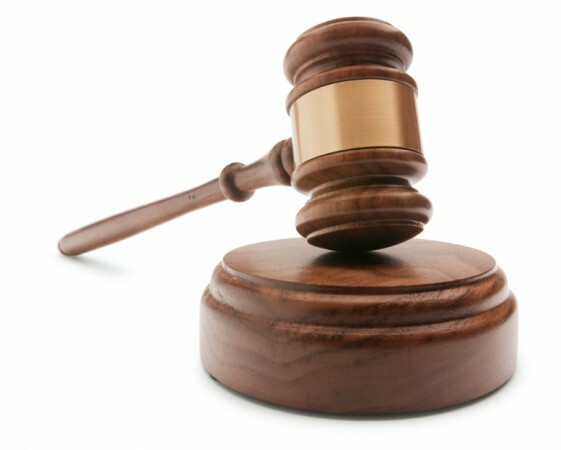 The Court of Appeals held that Akins mandated that a jury question may be presented “where the adequacy of the screening in terms of protecting the area behind home plate properly is put in issue. (Akins v. Glens Falls City School Dist., 53 N.Y.2d 325, 331, supra. ).” (emphasis added). The rule suggested by plaintiff would require a baseball eld proprietor to operate as an in- surer of spectators unless there was a protective screen shielding every seat. We held in Akins that a proprietor should be allowed to satisfy the de- sires of the many spectators who prefer to view the game from a seat unobstructed by fences or protective screening. No sound reason has been shown why the rule of policy set forth in Akins should be changed. 475 N.Y.S.2d at 368. This reasoning has been applied in other jurisdictions and un- derscores the obvious risk of injury — even when protective netting is present. For example, in Benejam v. Detroit Tigers, Inc., 246 Mich. App. 645, 635 N.W.2d 219 (Ct. App. 2001), bat fragments circumvented the protective netting provided behind home plate and injured a young spectator.1 The Court of Appeals of Michigan stated: care as a matter of law. The limited duty doctrine estab- lishes the outer limits of liability and thereby prevents a jury from requiring a stadium owner to take precautions that are clearly unreasonable . . . . By providing greater speci city with regard to the duty imposed on stadium owners, the rule prevents burgeoning litigation that might signal the demise or substantial alteration of the game of baseball as a spectator sport. (internal quota- tion marks and citations omitted). 1. Michigan, like New York, applies the “quali ed duty of care” or the “limited duty of care” to the owners and operators of a baseball stadium. Signi cantly, in Benejam, the lower court cited to the New York Court of Appeals’ holding in Akins and also acknowledged that even when a pro- prietor provides such screening, the risks inherent in viewing the game cannot be completely eliminated. See Akins, 53 N.Y.2d at 331 and Bene- jam, 246 Mich. App. at 645. Likewise, the Payne action is silent regarding a spectator’s voluntary assumption of the risk. This is a separate defense that applies to the voluntary participation of a spectator despite a knowledge and apprecia- tion of the inherent risks in the activity — such as watching a baseball game from an unprotected area of a stadium. A spectator’s assumption of the risk removes any duty on the part of the defendant to protect the spectator from known or obvious risks associated with the activity such as the chance en- counter with a baseball or bat while a spectator at baseball game. 2. The defendants have led a motion to dis- miss the Payne action. The motion is scheduled to be heard on November 13, 2015. National Recreation and Park Association Releases Study Quantifying Economic Impact of Local Parks ! NRPA Report identifies significant economic impact for all 50 states and the District of Columbia ! ASHBURN, VA., Nov. 19, 2015 (GLOBE NEWSWIRE) — The nation’s first economic impact report identifying and quantifying the economic contribution of the thousands of local and regional public parks throughout the country is now available through the National Recreation and Park Association (NRPA) and the findings are significant. 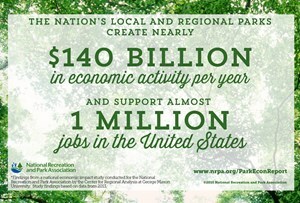 The analysis shows that the nation’s local and regional parks generate nearly $140 billion in economic activity per year and support nearly 1 million jobs. NRPA’s main focus for the economic impact study was to gain insight into the economic contribution local and regional parks create for the economy to help further solidify the essential value local parks offer, beyond what is traditionally understood. The study, conducted by the Center for Regional Analysis at George Mason University (GMU) for NRPA, focused exclusively on the direct, indirect and induced effects of park system spending with analysis based on data compiled by the U.S. Census Bureau and NRPA’s benchmarking database for local parks. Overall, the economic impact study confirms that investments in public parks are investments for a better tomorrow. Local and regional public park spending not only turns neighborhoods, towns and cities into vibrant, connected communities, but also sparks economic activity that ripples well beyond the initial spending to create jobs and prosperity throughout our nation. To review the report and methodology as well as a detailed analysis with case studies visit, www.nrpa.org/ParkEconReport. The National Recreation and Park Association is a national not-for-profit organization dedicated to advancing park, recreation and conservation efforts that enhance quality of life for all people. Through its network of 50,000 recreation and park professionals and citizens, NRPA encourages the promotion of healthy and active lifestyles, conservation initiatives and equitable access to parks and public space. For more information, visit NRPA.org. For digital access to NRPA’s flagship publication, Parks & Recreation, visit ParksAndRecreation.org. Craft Beer gets price hike at Bulls, Blackhawks games ! Renovated concession stands at the United Center feature digital menu boards and removed beverage dispensers from in front of fans. Fans showing up to a sold-out United Center tonight for the Chicago Blackhawks’ training camp festival will be paying more for craft beers than they did last year. Mixed in with a wide range of new locally themed food and drink options unveiled last week at the arena was a 50-cent increase on all imported and craft beers this season at Blackhawks and Chicago Bulls games. Goose Island and Stella Artois beers at general concessions will cost $9.50 at the venue this fall, a result of growing demand for microbrews. 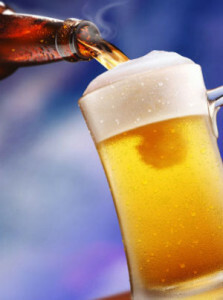 Sales of craft beer nationwide rose 22 percent last year to $19.6 million, 11 percent of all U.S. beer sales, according to Boulder, Colo.-based craft beer trade group the Brewers Association. Domestic beers from United Center beer partner Anheuser Busch InBev cost $8.50 apiece. Prices of several other general concessions items are flat year-over-year, including hot dogs, pretzels and pizza, while nachos ($6.75), popcorn ($5.75) and select soft drinks increased by 25 cents each. Those price tweaks, however, may not be as noticeable as the number of Chicago restaurants and bars that have invaded the Near West Side venue. More than 90 new menu options from nearly a dozen local hot spots were introduced to the 100- and 200-level concourses over the summer, collectively branded as “Chicago’s Plate” by the arena and concessionaire Levy Restaurants. The southwest corner of the main concourse is being transformed into a new Big Star location. LQ Chicken Shack, an offshoot of Lillie’s Q barbecue, is now on the United Center club level. The impressive mix of local tastes is a major upgrade for the United Center, although prices on the upscale fare—while mostly consistent with what you’d pay at the restaurants themselves—are higher than the cost of general concessions. Three tacos from Wicker Park taqueria Big Star cost $12 in a large renovated area in the United Center’s southwest corner that previously housed craft beer carts. Big Star is also offering a new item, Queso Fundido Nachos, for $11.50. West Town restaurant Leghorn Chicken now has a stand behind section 115 offering chicken sandwiches for $9. At the 200-level, Lillie’s Q will sell its tri-tip sandwich for $10, in addition to offering pulled pork sandwiches and a walking taco with pimento cheese chips. Desserts in the club level include cupcakes from Sweet Mandy B’s in Lincoln Park for $4.75 apiece, as well as $5.50 candy bars from Amy’s Candy Bar in Ravenswood. All concession stands at the arena also got significant face-lifts over the summer. Beverage dispensers were removed from the front of the stands to clear clutter, and digital video boards display the food offerings on either side of the concession stand walls. Digital menu boards at each stand were also a key upgrade for the United Center. The video displays will allow the teams to tweak food and drink offerings in real time based on demand and how purchases correlate with things like game time and score. Those video boards add to the 64 new 42-inch screens placed throughout the main concourse, as well as other new video screens just inside the gates on both Madison and Monroe streets. Also new at the entrances are metal detectors, which replace security officials using wands to check people coming into games. Overseeding Tips from a Pro ! 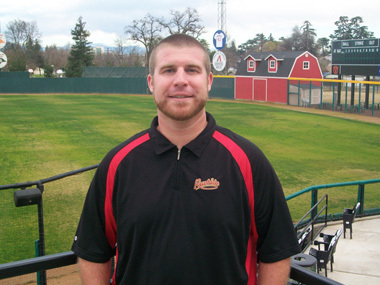 Overseeding Tips from a Pro . . . . . . . . . . . .
Lost Nation Sports Park West – Loraine, OH ! One of the first things I noticed at the new Lost Nation Sports Park West in Lorain, OH were the soccer nets attached to the base of the basketball hoops on the impressive-looking courts. It looks odd, until you think about the big picture. Chris Dore — the general manager of the facility, which we wrote about in a recent Business of Life profile — said it’s all about maximizing the use of court space at the former Brad Friedel Premier Soccer Academy. Futsal, which Dore, the boys soccer coach at Avon High School and a former member of the Cleveland Force, said is “the world’s version of indoor soccer,” is played on the two SportCourt surfaces that are also used for hoops and volleyball. “It’s played with a ball that doesn’t have as much bounce, so the ball is designed to stay on the ground,” Dore said of Futsal. Dore, a former Bowling Green standout, said playing soccer on a hard surface has perks that give it an advantage over the traditional form of indoor soccer, which is played on a turf field. “It’s good for kids’ skill development because the ball stays on the ground and it’s not bouncing,” Dore said. “If a ball stays on the ground, they don’t have to look straight down at it because it’s easier to control. Now they can be more comfortable with the ball down at their feet, and pay attention to what’s going on around them. Indoor soccer with walls “is slowly becoming obsolete,” Dore said. That’s why I really enjoyed my trip to the newly opened Lost Nation Sports Park West — which joins the successful Willoughby location under the Lost Nation umbrella. Instead of discussing basketball and soccer, two staples of the Lost Nation complexes, we spent a lot of time on such activities as Futsal, lacrosse, volleyball and flag football. Mike Srsen, a former Browns chief financial officer who opened the Willoughby complex with the late Patrick Parker 17 years ago, said lacrosse is an increasingly popular sport at his facilities. Some high school lacrosse teams practice at the Lost Nation complexes, and Mentor Youth Lacrosse books time in Willoughby. “I see that happening here (in Lorain),” Srsen said. And if you think indoor soccer is only for kids whose ages are in or near double digits, you’re way off. Before Srsen could complete the sentence, his business partner, Chris Haas (who also owns All Pro Freight Systems Inc. in Avon), jumped in. It’s also about getting kids engaged in sports at an early age. And it doesn’t have to be football, basketball or baseball. At complexes such as Lost Nation, there are a bunch of other options. Cal Ripken Jr., Kevin Harvick Unveil New Sports Park In Greensboro ! GREENSBORO, NC – The Iron Man, baseball legend Cal Ripken Jr., made a stop in the Triad Wednesday. Ripken Jr., along with NASCAR champion Kevin Harvick, were at the future site of the Salvation Army’s Boys & Girls Club in Greensboro dedicating a new, multi-purpose turf field. After a ribbon cutting ceremony, Ripken Jr. and Harvick had some fun and played Quickball with some of the kids. This park marks the 51st youth development park completed by the Cal Ripken Sr. Foundation. Those parks are in 16 states across the country. MLB Hall of Famer Cal Ripken playing Quickball with Kids at Boys & Girls Club in Greensboro. Also making a stop NASCAR Kevin Harvick joining in the fun.